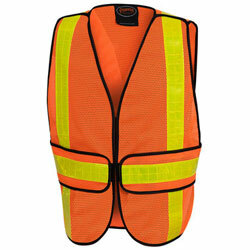 Looking for Hi Viz raingear? 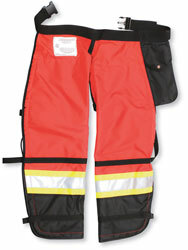 Click here for our raingear selection. 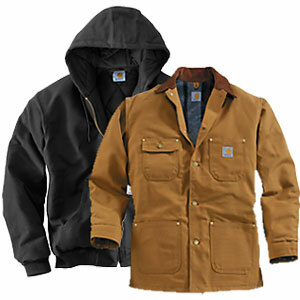 Since 1889, Carhartt has been building best-in-class apparel for the active worker. 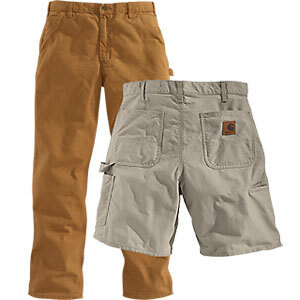 It all started with their famous Carhartt Bib pants. They work closely with hardworking Blue Collar men and women to develop the best products possible and maintain their fantastic durability, comfort, functionality and fit. Many of their products are made in the US. 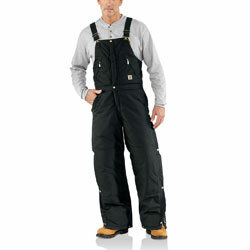 Macandales has a large selection of both Carhartt work gear and casual wear for men and women. 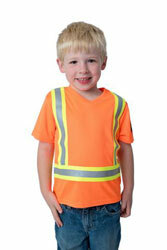 Lil Workers is a company based in Comox, BC. 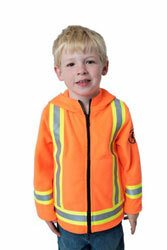 The founder is a father and an arborist who set out to make High quality safety gear that will keep kids safe. Their Hoodies and Raincoats are available in orange, yellow, and now pink as well! 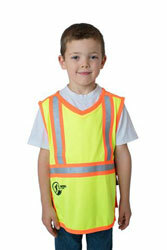 Your kids will love this product and it will help them be seen and stay safe in parking lots, crosswalks, walking to school, biking, fields trips, the list goes on. 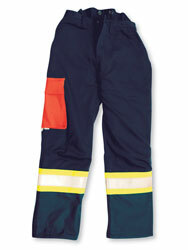 Can-Swe Distributors Inc. has been manufacturing and distributing the highest quality industrial safety clothing since 1987. 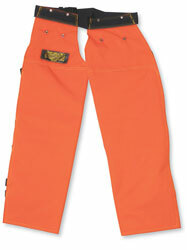 They were the first company to introduce the use of kevlar for chainsaw safety protection and now have the highest-rated safety pants available in the world. The Pioneer brand was established in Vancouver in 1887. 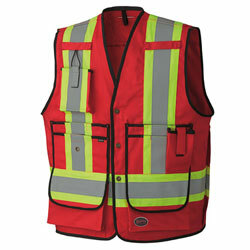 They design high-quality, durable outerwear, workwear and personal protective gear inspired by Canadians who need to keep safe and comfortable. Pioneer listens closely to their customers to adapt to their ever-changing needs. 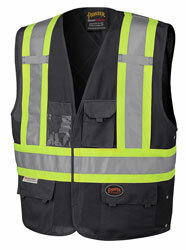 Big K has been North America’s leader in safety clothing and accessories since 1971. They use only high quality materials, employ state of the art technology, and meet and exceed regulated safety standards.